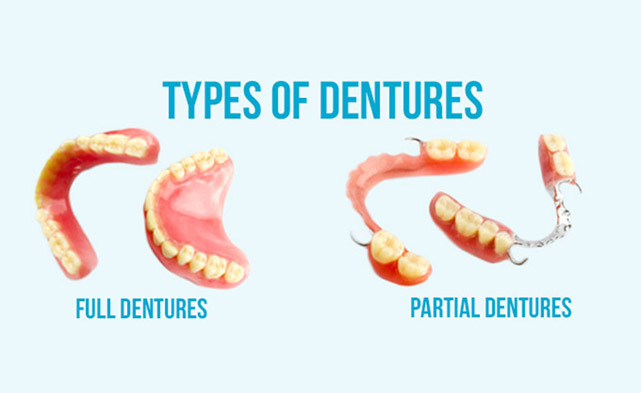 Partial dentures replace teeth that are missing and can sometimes be supported by the teeth you have left. If you have gaps between your teeth, then your other teeth may move to take up some of the space, so you could end up with crooked or tilted teeth. This could affect the way you bite and could damage your other teeth. How soon can I have a denture after my teeth are taken out? Usually dentures can be fitted straight after your teeth have been removed. These are called ‘immediate dentures'. You will need to visit the dentist beforehand for them to take measurements and impressions of your mouth. With immediate dentures you don't have to be without teeth while your gums are healing. However, bone and gums can shrink over time, especially during the first six months after your teeth have been taken out. If your gums shrink, your immediate dentures may need relining, adjusting or even replacing. We will be able to talk to you about this. Sometimes we may advise you to wait until your gums are healed before having your dentures, as this can sometimes provide a better fit. Healing may take several months. Replacing lost or missing teeth is very good for your health and appearance. 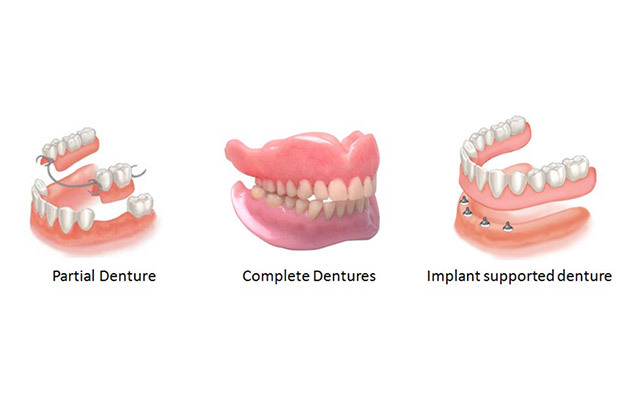 A complete or full denture replaces your natural teeth and gives support to your cheeks and lips. Without this support, sagging facial muscles can make a person look older and they will find it harder to eat and speak properly. Dentures can be made to closely match your natural teeth so that your appearance hardly changes. Modern dentures may even improve the look of your smile and help fill out the appearance of your face. 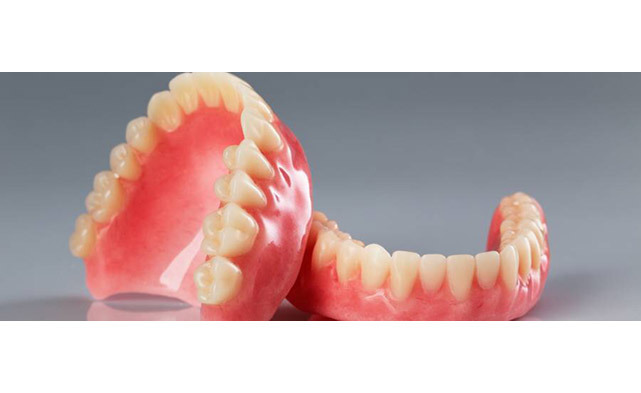 Acrylic dentures - These are made from an acrylic base which will closely match your natural gum shade. The chosen teeth are set in the acrylic base. Chrome dentures - Partial dentures can also be made using a custom made Cobalt Chrome base, which has a closely fitting, strong and lightweight structure. Fixed or implant dentures - Dentures can be anchored to Dental Implants. The denture is fixed to the implants, allowing you to feel more confident and comfortable, with the security that it will not move. 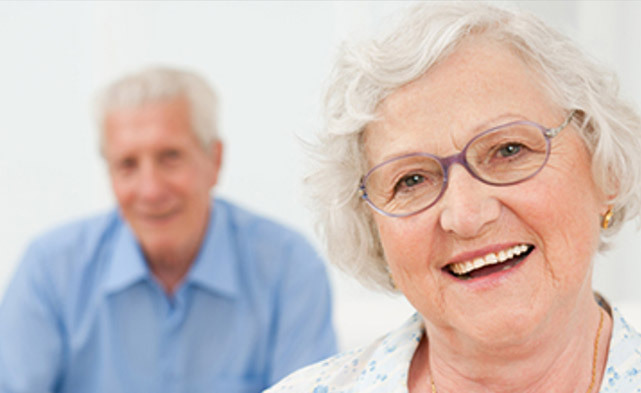 At Halo Dental Practice we can prescribe you Dentures in a range of materials which are best suited to your situation. Full denture - This will replace all of your natural teeth and can be made for upper and/or lower teeth. 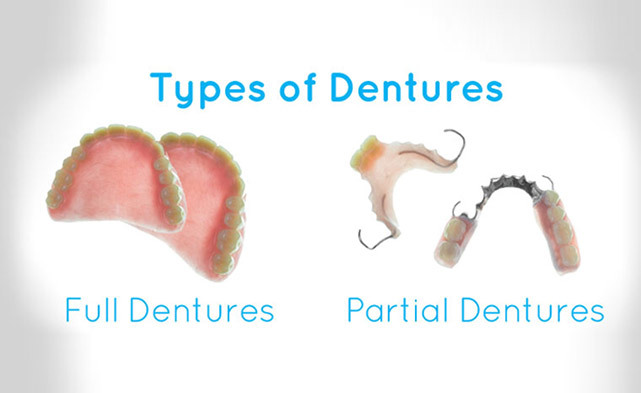 Partial denture - These are designed to fill gaps or spaces which are left by the loss of natural teeth. Eating will take a little practice. Start with soft foods cut into small pieces. Chew slowly, using both sides of your mouth at the same time to stop the denture from moving. As you become more used to your denture, add other foods until you get back to your normal healthy diet. During the first few days, your dentist may advise you to wear them for most of the time, including while you are asleep. After your mouth gets used to your dentures your dentist may advise that you take them out before going to bed. This allows your gums to rest and helps keep your mouth healthy. When you remove your dentures at night, it is best to store them in a small amount of water to stop them warping. Pronouncing certain words may take practice. Reading out loud and repeating difficult words will help. If you find that your dentures occasionally slip when you laugh, cough or smile, reposition them by gently biting down and swallowing. If this continues see your dentist. Dentures may break if you drop them. Always clean your dentures over a bowl of water or a folded towel in case you drop them. To clean your denture, the general rule is: brush, soak, brush. Brush your dentures before soaking, to help remove any bits of food. Using an effervescent (fizzy) denture cleaner will help remove stubborn stains and leave your denture feeling fresher - always follow the manufacturer's instructions. Then brush the dentures again, as you would your own teeth, being careful not to scrub too hard as this may cause grooves in the surface. Most dentists advise using toothpaste and a small- to medium-headed toothbrush. Make sure you clean all the surfaces of the dentures, including the surface which touches your gums. This is especially important if you use any kind of denture fixative. As long as you treat your dentures well, they should last several years. However, your dentures will need to be relined or re-made because of normal wear or a change in the shape of your mouth. Bone and gum ridges can shrink, causing your jaws to meet differently. Loose dentures can cause health problems, including sores and infections, not to mention discomfort. A loose or badly fitting denture can also make eating and talking more difficult. 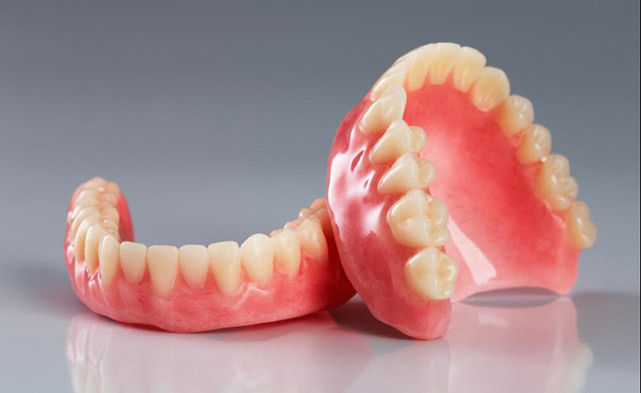 It is important to replace worn or badly fitting dentures before they cause problems. Depending on your needs and requirements the cost will vary. At Halo we will discuss the options with you. What happens if I have any problems? Talk to our Dental Team if you have any problems, concerns or questions. We can also repair your Denture for you so should you need anything please contact us.